Multiple surveys indicate attracting top quality talent is one of the biggest challenges being faced by HR and business leaders today. The talent assessment platform Mercer-Mettl has come up with its 2nd Annual report, which through its survey of more than 900 decision-makers reveals that finding and hiring the best candidates for various roles is a tough and expensive process. 74% of respondents consider TA is still a challenge in 2019. With the hiring volumes increasing from 25% in 2018 to 31% in 2019, recruiters must be aware of the challenges to overcome if they want secure the very best workers. A poor hire can be the greatest detriment to an organization. Many leaders and business owners go through this disheartening experience when they have to let go of an individual who was simply not fit for the job. But who is at fault here; the employee or the recruiter? The jury is still not out on this. However, this article serves a greater purpose than fixing blames. This article is meant for recruiters and business owners to avoid creating such unpleasant situations. 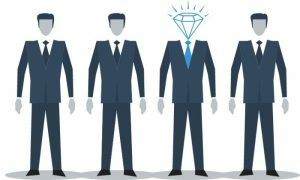 The important step of defining the candidate criteria should happen right at the beginning of the hiring process. However, in many cases the rush to close a vacancy is so great that defining what the organization really needs in a candidate is left as a secondary discussion. These decisions are made after all the job applications arrive forcing the hiring manager to perform the search again with a more specified list of criteria or settle for a small candidate pool. As a recruiter or a business owner, you should clearly define the hiring criteria to find the candidates that are best aligned with the organization’s needs. The goal should be to clearly articulate the talents, skills, capabilities that you are looking for in a prospective candidate. This is indeed a vital step as you should aim for the most essential attributes, rather than settle for an all-inclusive feature list that brings irrelevant applications or confuses the job seekers. The process will take some time as the recruiters and hiring managers need to be on the same page. However, the result will be worth it and by the end of your discussions, you will have a clear, focused position to hire for. Once the final job description is ready to go live, you need to consider strategies for connecting the job posting with the best possible talent out there. In doing so, recruiters need to use active as well as passive strategies. While passive strategies depend on the candidates reaching out to the job, in active strategies you will be reaching out to the prospective talent in the capacity of a recruiter. Passive strategies are the commonly known recruitment methods that most recruiters probably use in their organizations such as posting a job on job boards or sharing it with employees and jobseekers through referrals and social networks. Recruiters can use an automation tool to post the job on multiple job boards without spending much time. These recruitment software also automatically collect the responses and maintain a secure centralized CV database for use by recruiters. On the other hand, active strategies differ from the traditional practices and are more expensive as they include networking and headhunting. With the rise of online professional social networks like LinkedIn, it has become easy to utilize these strategies quickly and cost-effectively. To discover the right candidates, it is essential to focus on a narrow geographical region as it is a waste of time and resources to headhunt candidates that meet the criteria but are unable to join due to their location. Factors like commuting to work daily must be considered while narrowing your search for the right candidate. While there will always be candidates willing to move or commute to anywhere, yet as a recruiter you should keep in mind these limitations before zeroing on the perfect candidate. It is equally important to consider the range of experiences they have, or are they ready for the next level? Answering these questions will quickly eliminate resumes that don’t meet the established criteria. Now that you have a pool of applicants at your disposal, it is time to decide on the best matching candidate for the role. While the number of applicants might be overwhelming, if you are using the right tools and techniques, it shouldn’t be difficult to filter and find the best prospects for interview. An advanced applicant tracking system which is equipped with a resume parser and semantic search technology can completely automate this task for you, helping to narrow down the prospects to the most qualified and best matching profiles. Using a recruitment software like Naukri RMS is not only beneficial for reducing time to hire, but it also removes the possibility of unconscious bias which is considered a major reason why recruiters miss out on the best hire for a role. However, beyond a point, recruiters have to rely on their cognitive abilities and intelligence to make the final decisions. Technology only provides assistance here. The final decision is still to be made by the human intelligence. An easy method to arrive at a conclusion is to rank the profiles based on a scorecard. Developing this scorecard is not that complicated as you can assign a number or weight to each of the characteristic and preference. For example, education can have a weight of 25 and previous experience can have a weight of 50. By scoring the candidates on these criteria, you will gain a cumulative score for each candidate which can be compared to eliminate the least qualified candidates. Once the vetting is complete, the only step that remains is formal interviews. Interviews are subjective to a lot of terms and conditions, where the hiring manager may arrive at some new findings about the candidate previously unknown. Once the interviews are complete, the hiring team can weigh in on with their choices on which candidate should be offered the position. The last authority on the decision may lie with the company leadership or the hiring manager. However, one should make sure the final decision is based on facts and actual experience rather than perceptions. With these steps in place, recruiters can ensure to a great extent that they do not make a wrong choice while hiring. We all have heard the famous saying, “Time is money”, and for recruitment, this holds absolutely true. 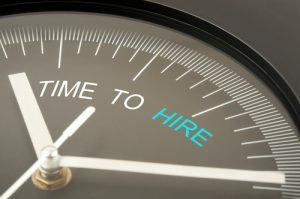 Time to hire is one of the top key performance indicators for the recruitment team. A lengthy recruitment process has a negative impact on the candidate experience. Also, a delay of even one day can have a compounded effect on the bottom line in terms of higher financial costs. Thus it is really important to adopt methods and tools that can shorten the time to hire. Those who sweat in peace, bleed less in war. If you want to reduce your time to hire, the most important step would be to have a ready made talent pipeline which you can refer to when any new requisition comes. For this to happen, it’s essential to always be on the lookout for outstanding talent. Thus recruiters should source candidate proactively by identifying the roles that require frequent hiring, pre-determining the requirements such as skills, aptitude, identifying the sources that could get you the ideal candidates and reaching out to them. When you will have a ready to use candidate database for hiring, you won’t have to go through the entire process of advertising the job and waiting for the applications to pour in every time there is an open role. While this might seem too obvious, but there are many small to medium enterprises that still do not have any documented hiring process in place. Without a structured process, the recruiters have to spend longer time to fill as they end up starting from scratch for every hire. A process is not established until it’s on paper; therefore, recruiters must map out the entire recruitment journey including all possible steps and scenarios. This is the only way one can understand the gaps and improve them. With everything documented, recruiters know exactly what to do and what not to, at every step, hence reducing redundant activities and improving the time to hire. This will also impact the costs per hire positively, improve visibility and make the recruitment process more measurable as well as transparent. Automation is not just a shiny new term in the business. It’s the reality of this time and every industry is looking to automate repetitive tasks to reduce costs and improve performance. Why should recruitment be left behind? By adopting a good recruitment software, organizations can automate their entire recruitment cycle from requisition to onboarding. How does this reduce time to hire? A recruiting solution automatically screens the incoming profiles and parses them to provide structured data. It allows recruiters to search profiles matching the requirements, schedule multiple candidate interviews and even send offer letters, all with a click of a few buttons. With a comprehensive applicant tracking system recruiters can simplify and streamline their recruitment flow, increase visibility and cut their time to hire without losing on quality. One of the biggest reasons of lag in the recruitment process is delayed or vague communication between various members of the hiring team. This team includes every person involved in the hiring of a candidate, whether it’s the recruiter doing the actual hiring or a Marketing manager who has raised the request for hiring. Without a well-established communication process, getting approvals for hiring or receiving feedbacks post interview may take some time which can increase the time to hire considerably. One solution for this could be to employ a recruitment management system that has modules for capturing feedbacks and getting approvals through an automated workflow. Any solution that eases communication between candidates, recruiters and hiring managers is bound to have a positive effect on the time to hire. Careers webpage is a significant source of candidate profiles for any organization. Any candidate who is really interested in a position in a company will definitely check their website and careers webpage. If this website is not optimized for best user experience or doesn’t provide clues about the company’s vision or culture, it surely is going to put the candidate’s mind in doubt. The candidate may take longer to take his decision or may drop off completely. In both the cases, recruiters will find it difficult to quickly source candidates for hiring, thereby lengthening the recruitment process. Therefore, it’s essential to improve the company career website, or finding a solution that not only provides you a branded careers webpage but also integrates it with the ATS, thus improving your performance and reducing time to source candidates. A delay of a single day in hiring candidates comes at the cost of productivity and revenue. Therefore, improving time to hire is of critical importance. https://companies.naukri.com/rms-careers/wp-content/uploads/sites/21747/2018/07/save-time.jpg 525 800 Naukri RMS Naukri RMS2018-07-13 10:19:152018-09-14 08:51:43How to Reduce Time to Hire? Know how to build a robust sourcing strategy. It can be a real headache for recruiters trying to find the best candidate for a new job opening. If the process is not right, organizations risk hiring incompetent and inconsistent talent that does not fit well with the business goals and values. Therefore, it is imperative to have a strong sourcing plan for recruiting to ensure right talent finds their way in your organization. Here are tips for the same. Hiring is often a time consuming process. This can be changed if organizations put more emphasis on sourcing and employ specialists for the same. In most organizations, same set of individuals oversee sourcing of candidates and their subsequent hiring, or they may delegate this “menial” task to entry level recruiters who have pretty much no experience in talent acquisition. This is a fatal mistake. For any hiring process to run smooth, the first step needs to be taken care of by the most experienced professionals. Therefore, organizations should employ sourcing specialists for this job who have an eye for talent and proven expertise in finding the best fit candidates. Also, it pays to have a well-documented and standardised sourcing process that acts as a guide for all stakeholders to ensure all individuals adhere to the organizational needs while making a selection. Gone are the days when posting a job on the job portals was enough. Today jobseekers are always looking for an opportunity to strengthen their career graph. Hence you should proactively utilize every single channel out there to find these candidates. Most recruiters have their own favourite, go-to channel for recruiting. But instead of stopping there, recruiters must also look out for active jobseekers on less frequently sourced channels. Think from the perspective of jobseekers. It isn’t hard to understand that candidates will be more receptive to outreach messages than simply posting the job on career website or a job portal. Whether it is reaching out on Facebook or whatsapp, nothing is out of bounds for recruiters anymore. The more channels you use for sourcing, the bigger will be your talent pool. If you are using a recruitment software for managing hiring process, it is essential to find one that not only automates your end to end hiring but also increases your sourcing channels and provides the best candidate experience. Making a good recruiting solution part of your innovative sourcing strategy in recruitment leads to reduction in time to hire as it automates repetitive tasks like posting the same job on different job boards. Thus recruiters have more time to fish for candidates from sources other than that are traditionally used. At the same time, a good recruiting software allows helps recruiters in sourcing candidates through social media, referrals, vendors, career site etc. from a single platform. Many of recruitment specialists are guilty of underutilising a very potent sourcing channels – the employee network. The employees who are already working in the organization have gathered a solid understanding of the work culture and are aligned with the business goals. Hence, when they refer a friend or someone from their network, the recruiters don’t have to worry so much about whether the incoming candidate has knowledge of the existing work culture of the organization. May be, this is the reason why employees hired through referrals stay longer and are more consistent in their performance. Also, employee referral, as a sourcing channel, is much cheaper compared to other sources where there is a constant advertising expense associated. Recruiters make a critical mistake when they only source candidates once an opening is there. There are other recruiters too who discard any “extra” CVs from their folders once the hiring has been completed. This is a strict no-no if you want to maintain a quality talent pool. Hiring takes a long time even if we have employed the best recruitment software. One of the best ways to avoid this delay in hiring is to keep growing your database of sourced CVs. This will ensure you have some candidates ready when a vacancy arises in the organization next time. It pays to have a talent pool that you can readily refer to whenever necessary. You will save a lot of repetition, reduce hiring time and improve productivity. https://companies.naukri.com/rms-careers/wp-content/uploads/sites/21747/2018/07/CRM-Banner-1.jpg 500 1000 Saurabh Tyagi Saurabh Tyagi2018-07-01 05:41:042018-09-14 08:46:57How to Improve Talent Sourcing in Your Organization? A company’s career website is one of the most important recruiting tools that a HR person has to their disposal. However, to only consider it as a recruitment aid would be underselling your employer brand. A corporate website is more than that. It is a wonderful opportunity to showcase your true value proposition and can prove to be a compelling cause for jobseekers to apply to a new job in your company. A career website is one of the important parts of this employer brand and therefore, you should put great emphasis on optimizing it for maximum results. Also, as per the 2017 Silkroad Sources of Hire report, a career website is an important source of hiring, delivering 14% of the candidates. This makes it all the more important to optimize your company’s career website. There are certain characteristics of a successful brand. It cares for its customers. It communicates and engages with its customers. It provides a unique and clear value proposition. An employer is no different. If you want to attract the best customers aka employees, you need to make it known that you are one of the best employer brands out there, if not the best. How to go about it? Prospective employees want to see how it like is to work at your company. They may want to have one of your employees say how it feels working there. The best way to have this possible is by having a video where you show in brief (60-120 seconds is enough) the brand, legacy and how it’s like to spend a day at work. Alternatively, you can have two to three 60 second videos – one where you talk about the brand and second where employees share their experience like how do they find the work and the workplace. Inserting pretty visuals of work stations, recreational areas and employees having fun time is also a good way of conveying the message. Many large employers such as Microsoft have blogs on their career site. These blogs are a good way of communicating various smaller aspects of working at the organization as making a video for each of them might not be feasible after all. Some of these blog posts might also be generic career advice as you want the jobseekers to capture value after visiting your site. There could be stories of how a product was developed against major deadlines, putting a spotlight on how teamwork made even the toughest things possible. Such stories show the bonhomie and empathy that the workers share at the workplace. A call to action is an absolute must. Employer branding is not the only purpose of your company careers website; the main goal is to make the candidate apply to the openings. Other CTAs that you may include are social sharing buttons so that the candidate may spread the word about the particular job in their social network. In addition to that, a Contact Us form that serves as a query platform for the jobseeker if he has any concern is also very much required. Without valid CTAs, there is not much use of having a career page, is it? There are a number of ATS’ that easily integrate with your existing careers webpage so that you can easily update it as and when new job openings are there. If you do not have a company career website or if you want a redesign, these Applicant Tracking Systems come with an option of developing them for you. All major ATS like Bullhorn, NaukriRMS, SmartRecruiters provide this possibility. With an ATS, updating the careers website becomes a breeze. A careers page doesn’t serve its purpose until the job listings aren’t effective enough. Not only the design and font should be legible, but the job listings should be smartly drafted and double checked for errors before being posted on the page. Adding smart filters like departments and locations will help candidates find the right job quickly. Also make your job listings interesting, bias free and easy to understand. The millennials believe in doing most of their job search on the go. Mobiles are being touted as the next generation devices which can help accomplish most of the tasks while on the go. Hence, it is imperative to have a webpage that is mobile friendly. If you want more candidates to visit your company’s careers webpage and apply to the jobs there, make sure the site is optimized for mobile. A bad mobile experience will not only send back the candidate without applying to any job but also damage your brand value.